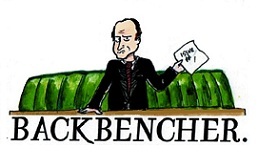 We at The Backbencher see this as a triumph for freedom and democracy. The British people have demonstrated enormous intelligence and independent mindedness in disregarding the overwhelming narrative of fear and pessimism that dominated the remain campaign. Already many are taking to social media to decry this exercise of democracy in action. Some say the elderly have trapped the young into a future they didn’t choose. Never mind the fact that the older generation has the experience and perspective to better judge what that future should be. Remember, they took us in in the first place. Others suggest that the result shows why major decisions shouldn’t be left in the hands of the uninformed. We feel that’s insulting and demeaning to the British people, and goes against the spirit of every value a free and democratic nation holds dear. Far too much of the debate during the referendum focused on immigration. This is not a vote to reduce immigration into the UK, but rather one to move away from a system that arbitrarily put EU citizens ahead of the people from across the rest of the world who really deserved the chance to come here. Throughout this campaign The Backbencher has pushed for a free, democratic and truly liberal Britain outside the EU. We told you how Brexit was a vote for democracy, a vote for the future and a chance for Britain to take its place in a globalised world. The British people have now taken the decision to move towards that brighter future. Once the initial hysteria has died down, we look forward to the freedom and prosperity this vote will bring in the long run. John Major got one thing right during his campaigning for remain. He described Britain as the most free country in the world today. This vote is evidence of that. Britain has ignored the voices of fear and voted for freedom. Now it’s time for us as a country to take our rightful place on the international stage.